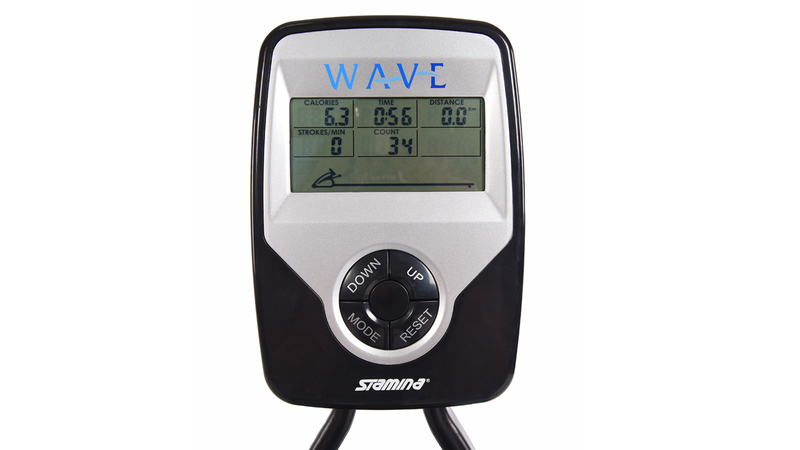 Adding to their popular air and magnetic rower lineup, the new Stamina Wave Water rowing machines use, as the name suggests, water resistance. The company is hoping to take a piece of the market away from WaterRower, ProRower and First Degree Fitness, three leaders in the industry. The Wave Water rower features steel frame construction, sturdy pivoting footplates and a multi-function monitor showing your time, calories, distance, strokes per minute and total strokes. Frame Length/Height: 85.35" x 33.75"
The Wave Water rower is Stamina's first venture into water resistance rowing machines. All of their other models are air and magnetic resistance. Early reviews have been favorable, but time will tell if they can hold their own against the other more well-established brands mentioned above. As you might already be aware, water resistance rowers closely mimic the feel and sound of being out on the open water, with infinite levels of resistance. The harder you row, the more resistance is created, and vice versa. You can also add or remove water with the included siphon to further alter the resistance capability. The Water Rower is well-built, with a steel rowing beam, a molded padded seat and pivoting adjustable foot pedals. Leveling end caps keep the machine in place while you work out. 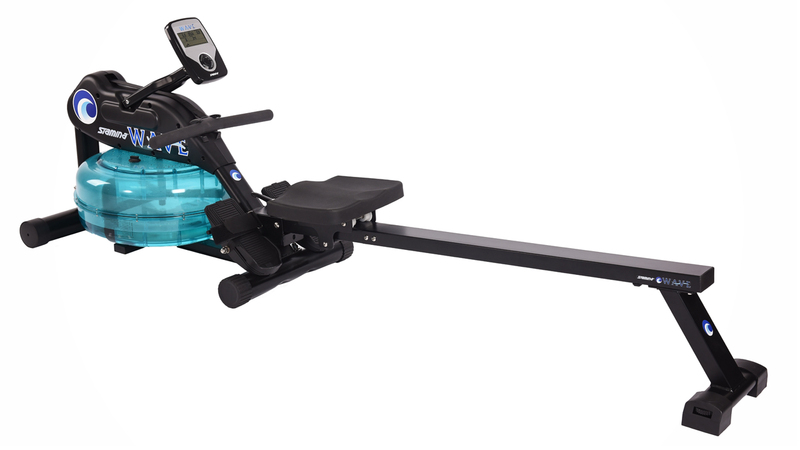 The max weight capacity is higher than it is on other Stamina rowing machines, at around 300 lbs. So if you are on the heavier side this might be a better option than one of the air or magnetic models. Note that there is also an advanced version of this one, called the Elite Wave Water Rowing Machine. It includes a more advanced monitor and also a free chest strap for more accurate heart rate readings to keep you in your ideal zone. So how does it compare to the other water resistance rowing machines out there? Well price wise, it is definitely more affordable. The regular model is around $599 on sale and the Elite model is around $699. Compare that to the WaterRower Natural which is around $1200 and it's quite a difference in price. However, for another few hundred dollars you can get the First Degree Fitness Newport or Pacific, two models which are definitely superior in many ways. It's a matter of figuring out what your budget is and what you are looking for. If you only have $700 to spend and want a water resistance machine, the Wave Water rower is certainly not a bad choice. For the price, the new Stamina Wave Water rowing machine is a decent choice. It's well built, feels natural and smooth, and can accommodate users of all sizes. If it were us, we would probably spend another hundred or two for a WaterRower, but if you are right around the $700 level, this one will certainly suffice. Look at the base and the Elite versions. 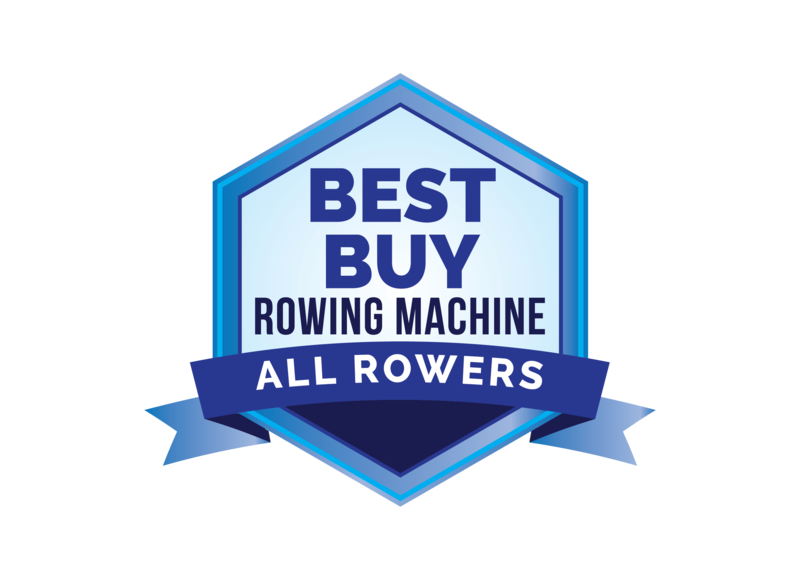 Check out more info and special sale pricing on this rower here!